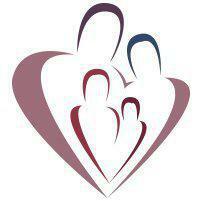 The team at We Care More Family Clinic provide pap smears to women from in and around Compton and Lynwood, California. A pap smear is a routine health screening used to detect cervical cancer and other uterine and vaginal conditions. It’s used to diagnose precancerous and cancerous cells of the cervix, the opening of the uterus. During the procedure, your healthcare provider gently takes a sample of cells from your cervix with a special brush-like tool. The sample is then examined for any abnormality. Pap smears are recommended because many of the conditions that affect a woman’s reproductive organs are symptomless in the early stages of the disease and the only way to diagnose a condition is to screen for it. The main purpose of a pap smear is to test for signs of cervical cancer although HPV testing is often carried out at the same time. Some of the strains of HPV (Human Papillomavirus) have direct links to the development of cervical cancer, so identifying its presence can help to improve preventive care for a patient. What causes abnormal pap smear results? Abnormal pap smear results occur when the sample cells are found to be irritated, precancerous, and cancerous. Irregular or irritated cells are often due to inflammation, caused by an infection, or hyperkeratosis. Precancerous cells appear to be in the early stages of abnormal growth just before being deemed malignant or cancerous. Cancerous cells can also be found and this condition will require testing and usually a treatment or procedure to examine and/or remove the cells. Healthcare providers provide follow-up appointments to discuss the results and suggested treatment when abnormal cells are found. What are the treatments for abnormal pap smear results? Treatment for abnormal pap smear results depends on the condition of the cells. If the cause of the abnormal reading is an infection or irritation, then the provider will usually provide a prescription for antibiotics, anti-inflammatories, or another form of medication. If the cells are precancerous the doctor will need to examine them and perhaps perform a biopsy. It may also be necessary to remove the top layer of cells from the cervix as a preventive measure. When a pap smear or biopsy reveals cancerous cells, the provider usually recommends that the abnormal tissue is removed during surgery. If the cancerous tissue is larger, more invasive surgeries may be required. Your provider will discuss any and all options available with you if cancerous cells are found.